The media and journalists should tell the truth to the people and report all aspects of an issue/situation without being biased when doing their job, Finance Minister Ravi Karunanayake said. .
“They may have political affiliations but they should not be biased. The previous regime handed over a grenade to the current Government after removing its pin,” he said. Addressing the gathering after distributing motorcycles among journalists at a ceremony in Colombo yesterday, Minister Ravi Karunanayake said that the former President now speaks about the high cost of living through certain media but the Cost of Living (CoL) has been drastically reduced under the current regime when comparing with the Rakapaksa regime. “The support of all is required in the next year to push the country forward towards a stronger financial position with less debt,” he said. According to Minister Karunanayake, during the Rajapaksa regime, the price of a cylinder of gas was Rs, 2,650 and now it is only Rs.1,350. The price of a litre of patrol was Rs. 165 and now it is only Rs. 117.The price of Diesel which was Rs.130 then and has now been reduced been reduced to Rs. 95. Kerosine oil from Rs.95 to Rs. 55, Milk powder from Rs. 962 to Rs. 816, Dhal from Rs. 220 to Rs. 160 or Rs. 180, Rice from Rs.60 and 150 to between Rs. 60 and Rs. 90 and Bread Rs. 65 or Rs.70 has been reduced to Rs. 55. 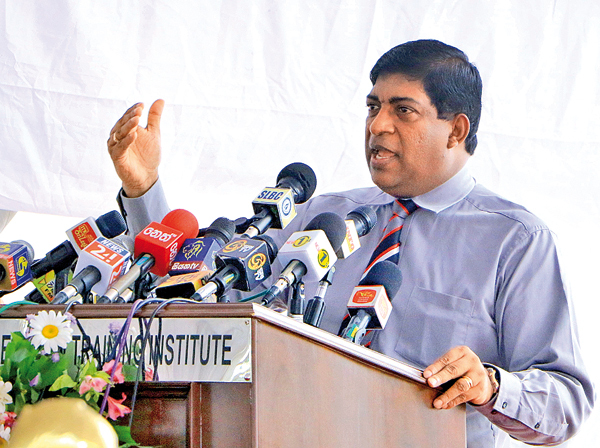 Minister Karunanayake pointed out that both the former President and certain sections of the media had forgotten the difference of entities between the past and the present. “Now the IMF accuses the previous regime of cheating and misleading it. VAT had to be increased due to the mismanagement and corruption of he previous regime but the increase will only be for a short time. The country’s income is not sufficient at all to pay interests and debt. The people who travel by BMW do not have tax files for them. There are only 28,000 tax files,” he said. million went in the past. What did the then Attorney General do at that time . Now people ask us whether we ‘protect thieves’ Today, international organisations, such as, the WB, IMF, ADB are offering us more funds than we asked for,” he added.